CARFAX 1-Owner, GREAT MILES 30,316! SLT trim. 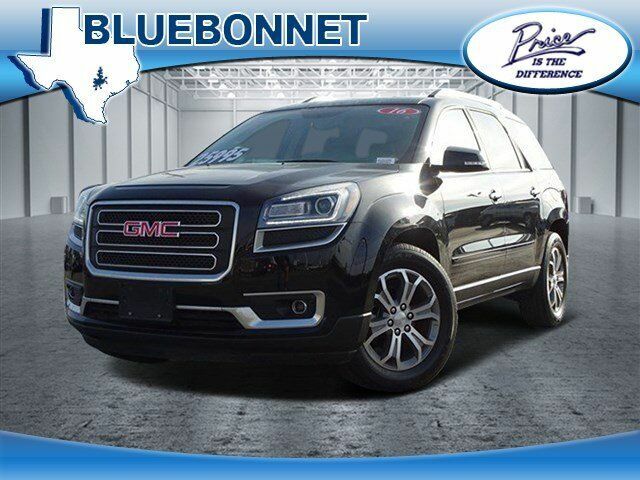 Entertainment System, Heated Leather Seats, Third Row Seat, Rear Air, Power Liftgate, Hitch, Quad Bucket Seats, Aluminum Wheels, AUDIO SYSTEM, COLOR TOUCH NAVIGATION.. READ MORE! Leather Seats, Third Row Seat, Quad Bucket Seats, Power Liftgate, Rear Air, Heated Driver Seat, Back-Up Camera, Onboard Communications System, Aluminum Wheels, Remote Engine Start, Dual Zone A/C, Smart Device Integration, WiFi Hotspot, Heated Seats, Heated Leather Seats. Rear Spoiler, Rear Seat Audio Controls, Privacy Glass, Remote Trunk Release, Keyless Entry. AUDIO SYSTEM, COLOR TOUCH NAVIGATION RADIO WITH INTELLILINK AND REAR SEAT ENTERTAINMENT AM/FM/SiriusXM radio with CD/DVD player, 6.5" diagonal touch-screen display, includes rear seat display DVD, USB port and auxiliary input jack (Includes (U42) rear seat entertainment system. ), TRAILERING EQUIPMENT includes (V08) heavy-duty cooling and (VR2) trailer hitch, ENGINE, 3.6L SIDI V6 (281 hp [210 kW] @ 6300 rpm, 266 lb-ft of torque @ 3400 rpm [359.1 N-m]) (STD), AUDIO SYSTEM FEATURE, BOSE ADVANCED 10-SPEAKER SYSTEM with 5.1 surround sound, TRANSMISSION, 6-SPEED AUTOMATIC (STD). GMC SLT with Ebony Twilight Metallic exterior and Ebony interior features a V6 Cylinder Engine with 281 HP at 6300 RPM*.